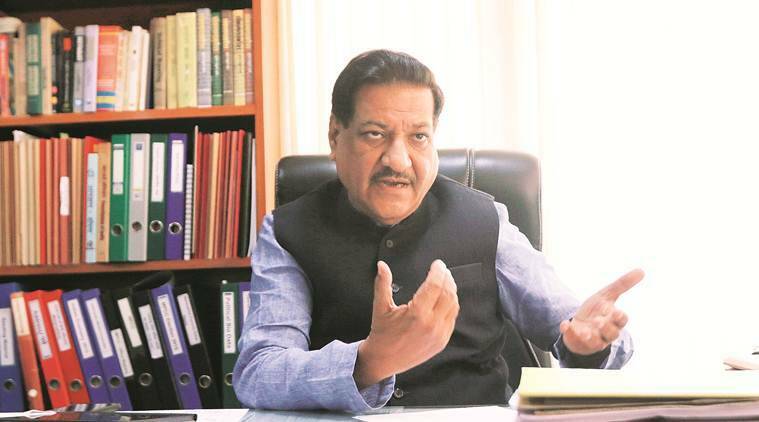 There is no way that Narendra Modi can become the PM in 2019. says Prithviraj Chavan. The big question today is: Can the Congress or the Opposition capitalise on the anger in some sections against the Modi government? There is a clear anger in the rural belts, particular in the farm sector. We witnessed this in the elections of the three heartland states of Madhya Pradesh, Rajasthan and Chhattisgarh, and it persists even today. The first phase of polls in Vidarbha will throw up surprising results. I do not know about cities, but there is a lot of unrest in rural areas. In 2014, the Congress and the Nationalist Congress Party (NCP) won just six seats in Maharashtra; we’ll do much better this time. The BJP is in for a big shock in Maharashtra. Sharad Pawar has said that PM Modi won’t be the PM again, but the BJP might still emerge as the single largest party. What is your own assessment? There is no way that Narendra Modi can become the PM in 2019. There is also no way any other BJP leader or even their allies will be in a position to lead the next government. My own assessment is that no party will get the absolute majority. I feel that the BJP will lose about 100 seats it had won in the Hindi heartland in 2014. It will go below 170 seats this time. While there was a feeling that following the Pulwama attack and the subsequent air strikes that the BJP had marched ahead, it has been neutralised now. The question being asked is, what did we achieve through the airstrikes. Were we able to destroy the network of terror? I don’t think so. No answer has come. Are we safe against terror? I’m not sure. Some Congress leaders have invited flak for seeking evidence of the damage in those airstrikes. Your views? Nobody’s questioning the patriotism and the competence of our armed forces. We complement them. But as the IAF chief has said they were only following orders. The political authority must justify whether the intelligence gathered was correct. No answer has come. The so-called benefits of the airstrikes haven’t materialised at all. The PM is trying to beat a dead horse by invoking the martyrs (in his election speeches) even as the Election Commission has specifically disallowed it. It only displays his nervousness. But when the BJP makes it a personality-centric clash, how does the Congress outwit them at the game, giving that Modi’s popularity continues to be way above Rahul Gandhi? Modi is desperate to convert this into a presidential form of election. We saw this even in 2014. But we won’t fall into the trap this time. We want to fight on manifestos and issues. This is an election of political parties. We want to expose the PM as having lied to the people of India. Also you must realise that the Modi of 2019 is not the same as the Modi of pre-2014 era. Today, he is nothing but a person who has deceived the masses by making promises that he has failed to deliver on. I think that the BJP should seriously consider and introspect. He has become a liability for them. What do you think people will vote for? Narendra Modi has nothing to go to people with. Their manifesto is a poor apology for their failure of delivering on promises in the past five years. So he is talking about nationalism and pretending as if he is the only person that can take on the foreign powers. Their people say we were a ‘tukde tukde sarkar’. But this is utter nonsense. We’re the people who did ‘tukde tukde’ of Pakistan. I feel that the election will be fought on issues, and the anger against the government. People want to throw the BJP out of power for the mismanagement of the economy. The plan to unite all Opposition forces hasn’t materialised in crucial states such as Maharashtra, Uttar Pradesh, and Delhi. Your views? Our initial attempts were to forge one grand mahagatbandhan at the national level. But the moment you talk about such an alliance, you must have someone leading it, which can get complicated. Therefore, a conscious decision to have state-level alliances was taken. This has largely worked. In Maharashtra, the alliance has worked, except that Prakash Ambedkar’s Bharip Bahujan Mahasangh (BBM) has turned out to be a hidden partner of the BJP. Ambedkar is a tall Dalit leader, and we’re hoping that he’d come on board. Unfortunately, he had a different game plan which is to divide the opposition’s vote. He is nothing but the B-team of the BJP. Both the BJP and the Congress are lining up behind jobs guarantee and income support, but haven’t spelt out details so far. Are there enough funds in the economy to support such schemes? The income support being offered by the BJP is nothing but a reparation or a compensation for their failed agricultural policies. What we are offering is different. It is based on the age-old idea of Universal Basic Income (UBI). The idea that poor should be supported dates back to Britain’s Poor Act, 1601. Even in recent times several top economists and entrepreneurs have backed some form of UBI. What we are essentially offering is a boldest form of UBI attempted anywhere in the world. Our numbers are based on Rangrajan and Tendulkar committee’s poverty indices, which put the figure of the poorest of the poor to 26.9 crore. To implement the scheme, the total amount of money required in today’s terms is Rs 3.6 lakh crore. We can divide the implementation in phases, say four phases of Rs 90,000 crore spend each. The economy will grow even as we implement the scheme. The subsidies being offered even today amount to Rs 3.4 lakh crore. With some rationalisation of these subsidies, implementation of major tax reforms, and adding some more money to the economy, the scheme can easily be financed. It has been a Modi versus Pawar show in campaigning for the first two phases. Is lacking a strong local leadership hurting the Congress in Maharashtra? This is partly true. Modi has been targeting the Pawar family, even though it was the Congress that was contesting a majority of the seats in the first phase. As discussed earlier, Modi is desperate to convert it into a personality clash. The national parties have avoided the bait, so he is trying to dangle the same in Maharashtra. But it won’t work. There has been a trust deficit between the Congress and the NCP in the past. How is the synergy between the Congress and the NCP on the ground? The past is a closed chapter. This is a bitter ideological fight, and all of us are fighting unitedly to save democracy and the Constitution. Both parties are working closely on the ground. It is a matter of survival for both. If we lose, and Modi becomes the PM again, it will be difficult for us to continue as the Congress party, and be near power.